The search for the perfect burger... let it begin and end in Huntington Beach! Mix it up with a variety of patties, toppings, and buns. 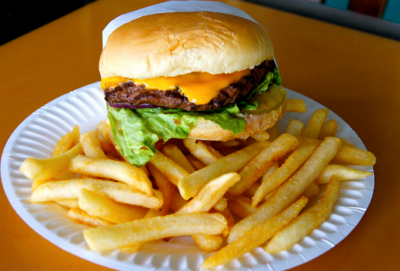 Try one or all of these amazing burger spots in Surf City USA and you will not be disappointed this National Hamburger Month. You really can&apos;t go wrong with a motto like "Burgers by design". Choose from a wide variety of meats, cheeses, toppings and sauces - including dill pickle chips, peanut butter, and baconnaise. 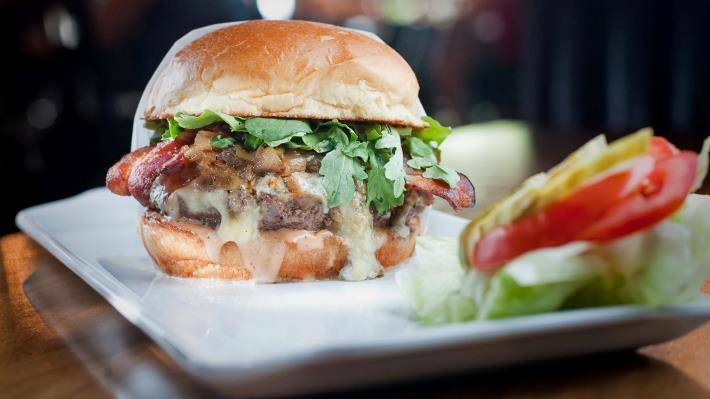 Don&apos;t miss the 50/50 patty, made from 50% ground beef and 50% ground bacon. Winner of over 10 best burger awards in 2013, Slater&apos;s 50/50 comes highly recommended with over 80 beers on tap in a fun, sports-bar atmosphere. Triumph the benefits of handmade food, locally sourced produce and fresh baked breads found throughout the chef driven menu at this new Bella Terra restaurant. You&apos;ll find an authentic, one-of-a-kind experience serving a wide selection of hand packed, 100% vegetarian fed, hormone & antibiotic free, all natural beef burgers. 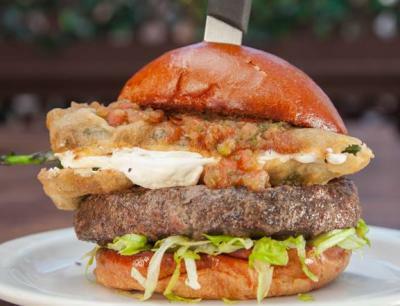 Get fancy with the Fresno Fig Burger, Pearl Street Blues Burger, or Vodka Burger - all charbroiled to perfection! Grab a spot on the always jam-packed patio right across from the beach at TK Burgers, an Orange County institution with made-to-order charbroiled burgers. Their signature egg buns are made fresh by a local baker and used exclusively at TK Burgers. They may not have a mile long list of toppings or sauces but don&apos;t under-estimate the famous burgers at this local favorite. With 1940s flair, Ruby&apos;s Surf City Diner is a Southern California original located at the end of the historic Huntington Beach Pier. The Classic Rubyburger is still simple and delicious after all these years. Prefer bacon, guacamole, Bleu cheese, or mushrooms on your patty? Ruby&apos;s offers all of the above and even a gluten free option. 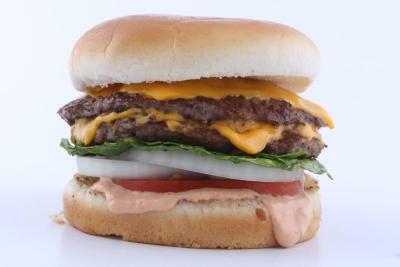 Double or even triple your patties at Bomburger located on Main Street in Huntington Beach. The teriyaki burger and chili cheeseburger are both delicious and under $5! Stopping by before noon? Be sure to try the breakfast burger. Have a favorite that didn&apos;t make the list? Comment below or share your burger story on our social media!